Q I have just moved into a house where the bathroom is located in the SW, exactly on the right side of the main door. Please tell me what I need to do? A A bathroom to the right of your main door is not the issue; the issue however is that it occupies the SW of your home. This is the sector that governs your relationships, in particular your LOVE relationships. Homes with daughters of marriageable age with toilets in the SW usually see the daughters finding it hard to land suitable husbands, and yes, this applies more to females than males. BUT, if the bathroom does not take up too much of the sector (i.e. not the whole sector) it shouldn’t pose such a severe problem. If you are not yet married and are trying to find someone suitable, try not to use this bathroom too much, and certainly do not try to “enhance” it in any way! CAN FENG SHUI TELL ME EVERYTHING ABOUT ME? Hi Aunt, I am a male born on 17 April 1980 and want to know what Feng Shui can tell me in detail about me (career, health, wealth love etc). I have met a female born 28 Sept 1988; are we suitable for each other? And can you help tell me more about her with feng shui? A Oh dear, no. Feng shui is learning how to work with the energies surrounding you and your living space; it cannot tell you about your current health, wealth, love etc. What it can do though is help forecast your luck in these areas based on your animal sign – for details on this, it would take more than this column to answer – you should get your FORTUNE AND FENG SHUI animal sign book, which has what you need to know to navigate your fortunes successfully. If you’re born April 1980, you are a Metal Monkey – this makes you very clever! The female you have met is a Dragon, and Monkeys and Dragons are astrological allies, making the two of you most compatible! Come to Lillian Too’s Feng Shui Extravaganza 2019 (in Dec this year) if you want to learn in more detail! Q I only have one child. My son is 16 years old. He is being very difficult and stubborn. Day by day, he is very much distracted by his hand phone and has less and less time for studies. He refuses to listen to any advice given by me or his father. Already checked his bedroom, study table position, and everything seems fine. Whether telling him nicely or being firm – neither seem to work. I have already bought a crystal globe for his study room. Day by day, he keeps to himself and avoids us. Are there any feng shui tools that can help? Please help me. Thank you. A Teenaged years can be difficult, especially when the child is going through puberty and changes. Some of these will be hormonal, others due to peer group pressure. The best thing to do as a parent is to be understanding, being firm without being unreasonable. Steer him towards friends that are a good influence on him. 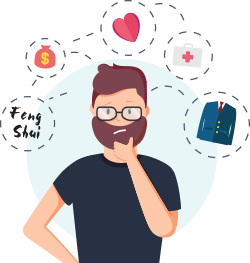 If he is mixing with pals he views as popular, but they are imprinting all the wrong values – explain to him and make him see for himself why they may not be good for him, rather than banning contact altogether with certain friends. Whenever he achieves something worthy of praise, give it freely. His achievements may start out small, but when you acknowledge achievements, however small, this sets off a magical upward spiral where he will strive to achieve more and more. 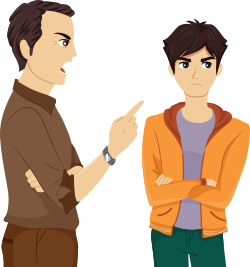 Don’t scold him, because with teenaged-boys, this rarely works, and if you’re not careful, you could end up with a delinquent on your hands. 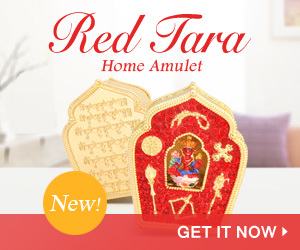 The best feng shui item that can calm an angry or difficult teenager is the Red Wisdom Pagoda, designed to promote scholastic achievement in students. This it does by motivating them to do well, and when they start to achieve, they get a taste of their own success. As a parent, you need to steer their interests towards achievement rather than towards impressing their peers. Plug in his date of birth into the Kua calculator on WOFS.com and get his auspicious directions, and make sure his bed has his head pointed to a lucky direction. Check his bedroom is not being afflicted by unlucky flying stars – if it is, make sure you have the cures in place. Good luck and don’t give up on your son. And don’t just leave him be. Be understanding and slowly bring him back round to your side. KUA LOCATION OR ANIMAL SIGN LOCATION? Q My Kua number is 1 (female). I belong to the East group, but being a Boar, my home direction is NW, which is not good for East group people. My bedroom happens to be in the NW. Is that OK for me? When sleeping, can I have my head pointed NW, coz then I will face SE? A These are two different systems of feng shui you are talking about – both need to be taken into account but in different ways. The KUA FORMULA usually involves directional feng shui – i.e. which directions you face when you work, sleep, study, dine, have meetings etc. If you are Kua 1, it means your good directions are SE, East, South and North. For greatest success, you should face SE; for health, face East; for love and relationships, face South; for personal development, face North. The NW, the home location of your animal sign of Boar, is not an East group direction for you to face, but it is an auspicious LOCATION for you to occupy. So your bedroom in the NW is good for you, although you should not have your head pointed to the NW since it is not one of your “lucky” directions. If you can point your head to an East group direction, that would be better. Q Please tell us what feng shui items we should have in the home if we find we are ageing faster than we should. My husband’s eyesight is still perfect and he can read very tiny font words. At age 40, I am told I have a cataract. Please help. I also have dental problems and have seen a dentist for so many teeth problems since last November. Please tell me what I can do using feng shui. Thank you. A Cataracts are not always due to age, so the problem may not be due to the fact you’re ageing faster… rather, you could be being afflicted by the illness star. When you are hit by the #2 star, especially when the hit comes on multiple fronts, it can seem especially severe. This past year of 2018, the Illness Star has planted itself firmly in the West, so if your bedroom, front door, or office is West-located, this could have caused you to go through a particularly difficult year health-wise. If you are Rooster born, this affliction would have been exacerbated, as the Rooster’s home location is West. In 2019, the Illness Star flies to the NE, and will especially affect those born in Ox and Tiger years. The most powerful antidotes for health afflictions are the Wu Lou, the Garuda Bird, or you could call on the help of Medicine Buddha. Chant his mantra and display his image prominently in the home. Do check your charts because your problem is not one of premature ageing, but possibly a temporary affliction caused by difficult flying stars. Hang in there. When the energies change over as the New Year comes, things should get better for you.